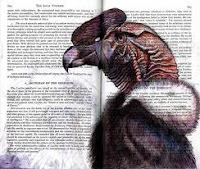 Della Streetwise, Maltese Condor and Periphera are here to tell us about some of their favorite reads of the year. Get ready for your reading wish lists to grow even longer. As I went through notes about my past year's reading (well, actually, scraps of paper I scribbled on and then threw in a box is as organized as I get), I realized I could replace these picks with many others I loved. Sister Mary and Georgette, I too give Reginald Hill's The Woodcutter and Nick Harkaway's Angelmaker two thumbs up. Way up. Nobody has to tell me twice to read a dark comedy. Israeli playwright Edna Mazya's novel Love Burns (reviewed here) is set in Haifa. Its narrator is a 48-year-old astrophysicist, Ilan Ben Nathan, who is obsessed with his young wife. His obsession and subsequent murder turn the book into a literary thriller so farcical I laughed out loud. As I mentioned here, Edward Conlon's Red on Red follows the investigations of two NYPD detectives who had become partners five months earlier. Protagonist Nick Meehan is introspective and "Espo" Esposito is aggressive and likes fudging the rules, but they make a great team and their friendship grows. Conlon was an NYPD detective and his knowledge and sense of humor make Red on Red special. I appreciated the originality of Miguel Syjuco's Ilustrado. It starts with the discovery of a dead body in the Hudson River and turns into a story about two Filipino families over 150 years in a kaleidoscope of excerpts from many sources, including interviews, a noir story, blog posts and an omniscient narrator. As I wrote here, it also becomes an exercise in separating truth from fiction. 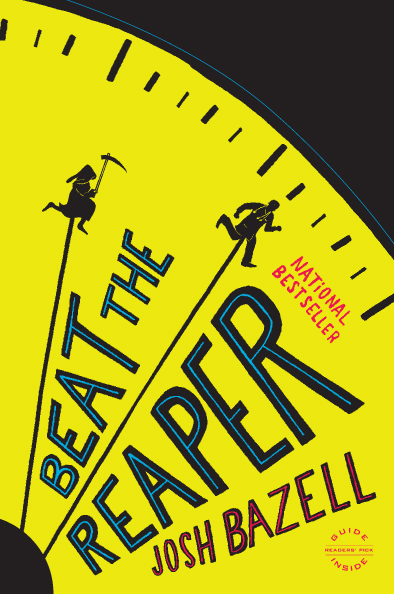 Josh Bazell's Beat the Reaper was reviewed by Sister Mary here. If you have a taste for black comedy, I dare you to read her review and resist reading the book. It's about the bad hospital shift intern Peter Brown has after he and new patient Nick LoBrutto recognize each other from the days Peter was mafia hit man Pietro Brnwa. I just opened the sequel, Wild Thing: A Novel, and Peter/Pietro begins every bit as outraged and outrageous as in the original. If you believe a book never has too much energy or too many digressions or footnotes, this is an author for you. When Jacob, the 14-year-old son of Newton, Massachusetts prosecutor Andy Barber and his wife Laurie, is accused of murdering classmate Ben Rifkin, the Barbers' lives turn upside down. 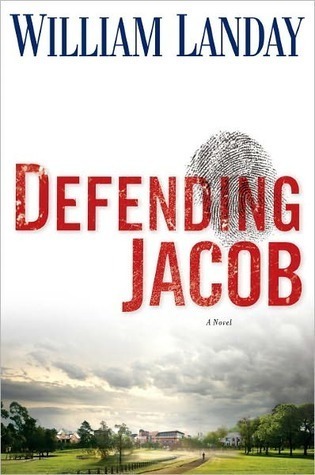 Defending Jacob (mentioned here), by former prosecutor William Landay, is unsettling suspense and absorbing legal drama. Anyone would empathize with the Barbers. I like to think of this family when I ponder the question of nature versus nurture. 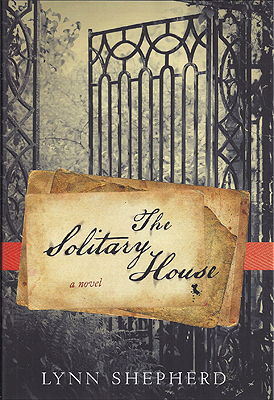 I re-read Charles Dickens's Bleak House and Wilkie Collins's The Woman in White before reading Lynn Shepherd's The Solitary House, so I could appreciate Shepherd's characters, who are taken from those books. Her plot concerns the activities of Charles Maddox, a Victorian London private detective. These three books are perfect for fireside reading. A stolen calypso coral 1969 Ranchero. A road trip through the Mississippi Delta to get it back. Mean-eyed Mississippi crackers. Noir. 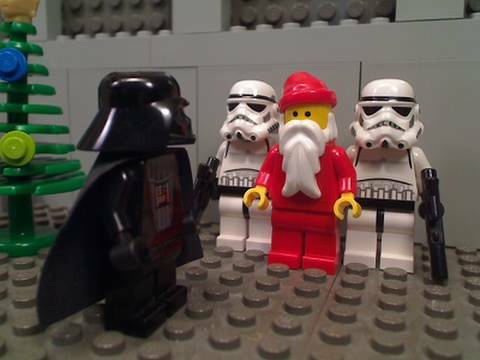 Black comedy. Former cop, now repo man, Nick Reid's distinctive narrative voice. Yes, I'm talking about Ranchero by Rick Gavin, reviewed here. 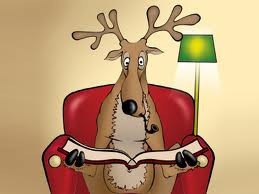 Georgette, on Tuesday you wrote about pulling an appealing character out of a book for a session under the mistletoe. I say, "Nick Reid, pucker up." Arthur Scott moves his wife Celia and three children from the turmoil of 1960s Detroit back to the Kansas farm town where he grew up. Life is hardly idyllic, however, because there are tensions caused by memories of Arthur's murdered sister Eve, the abusive marriage of his other sister Ruth, whose husband once loved Eve, the recent disappearance of a girl who resembled Eve, the resemblance to Eve of Arthur and Celia's youngest daughter Eve-ee.... Is there really any need for me to go on? Lori Roy's well-crafted Bent Road has more than enough suspense and gothic creepiness to satisfy me. 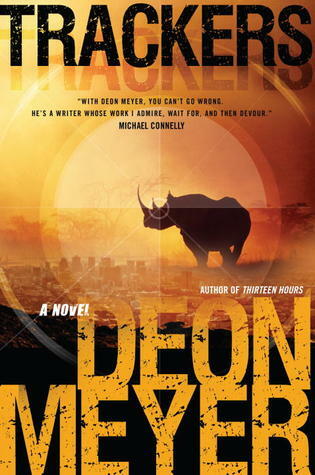 I enjoyed Deon Meyer's powerful and complex thriller Trackers, as a critique of South African society and for the surprising way Meyer merges the three subplots involving the smuggling of two black rhinos, the Presidential Intelligence Agency and a private eye's missing husband investigation. I'll review this book soon. I'll write about Michael Koryta's The Prophet in two weeks. A Kirkus reviewer called it "Friday Night Lights meets In Cold Blood." A story involving two brothers who became estranged when their sister was murdered and now face another catastrophe; it's both heart-breaking and sensational. That's enough for now. When I look back at my 2012 memorable moments of reading, I am quite relieved that I don't have to rely on memory alone to bring these reads to mind. I keep a record of the books I have read as well as those I want to read on the Goodreads website. When my Amazon wish list reached gigantic proportions, I also left it to Goodreads to keep me from acquiring multiple copies of the same book. For the past few years, I have come up with lists of each year's favorite books, and if there is one thing the lists have in common it is that there is a preponderance of books that have been around for a while. I also seem to favor books in a series, so that one builds on another. I can't seem to define what it is about any given book that hooks me, but if I am transported to another time and place, I am a willing traveler. 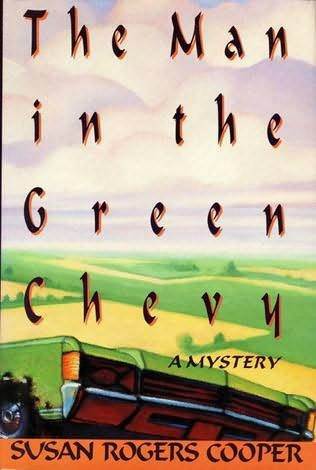 One of my favorites finds of the year was the Milt Kovac series, which began with The Man in the Green Chevy by Susan Rogers Cooper, published in 1988. Milt is a 40-something Chief Deputy in a small Oklahoma town, who pays as much attention to his heart as he does to his head––and this often causes him plenty of difficulties. My difficulties have been in finding some of the out-of-print books. Cypress Grove, by James Sallis, was first seen in print almost 10 years ago. John Turner, the central character, is an ex-cop, ex-con, ex-therapist who has moved to the small town of Cypress Grove, near Memphis, after retiring from his career in the medical field. But since he has a great track record with solving murders, he is pulled into the investigation of a bizarre murder. This was a wonderful book. The author has the elements of the story come together like partners in a tango. Deep emotions held in control as the music of life swirls around and the past and the present are brought together in a satisfying climax. 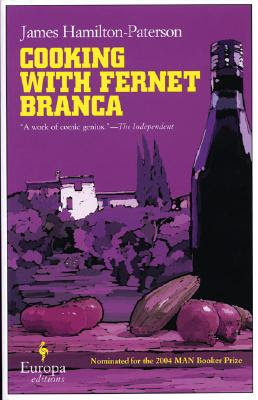 I laughed until I ached when I read Cooking with Fernet Branca, by James Hamilton-Paterson. I had put off reading this book, thinking that it would be a book similar to others about people buying houses in Tuscany or France and making food and drinking wine. I was wrong. I found it to be hilarious and a pure delight. I have already shared my appreciation of Leighton Gage's A Vine in the Blood (here) as well as Amagansett by Mark Mills (here) and Chris Grabenstein's Fun House (here). My most recent rave was about Carol O'Connell’s latest Mallory chronicle, The Chalk Girl (here). Sister, I am eager to try Leonard Rosen's All Cry Chaos, which debuts Henri Poincaré and well as Gerald Jay's The Paris Directive. These books seem right up my alley. Georgette, while I read Keigo Higashino's The Devotion of Suspect X, I couldn't appreciate the subtleties, but I am eager to try the second in the series. Della, it stands to reason that as different as we all are, our lists would include a wide variety of authors and styles and approaches to the criminal mind. 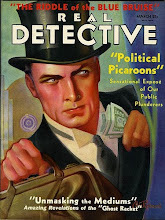 If I look at mine, it always seems to favor the law-and-order type of detective fiction. 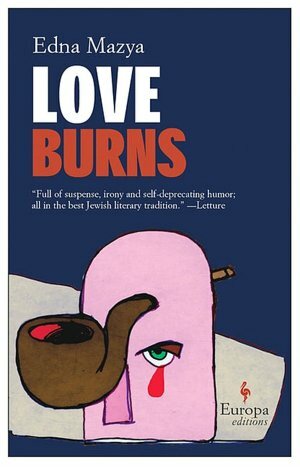 But I am fascinated by your choice of Edna Mazya's novel Love Burns, which I have put on my Christmas list. Subtle British humor is always a magnet for me as well, Peri, so your comments about Nick Harkaway's writing and Sister M's review of his book, Angelmaker, may lead me to include that book on 2013's best books list. I'd love to be organized enough to remember and evaluate a year's worth of reading, but often can't remember what I read last week! Sister Mary Murderous suggested keeping a notebook and I tried several times; but my house eats notebooks like my dryer eats socks. Fortunately, recommendations come in so fast that I won't run out of reading matter anytime soon. Here are a few of this year's books, and some planned reading for 2013. While Peter Robinson's Watching the Dark (to be released January 8, 2013) is a solid entry in his popular Alan Banks series, it didn't hold my breathless attention like many have. The story ties the contemporary murder of a police officer to the unsolved disappearance of a local girl vacationing in Estonia several years earlier. When both of these cases seem connected to D.I. Annie Cabbot's separate investigation into an illegal migrant worker scam, the story gets a little too busy for me. Meeting old friends is wonderful, so I am slowly downloading electronic copies of many of them. Dorothy L. Sayers's Murder Must Advertise finds Lord Peter Wimsey going undercover at an advertising agency, earning £4 a week and hobnobbing with his fellow wage slaves around the office tea urn. In addition to his sleuthing skills, he turns out to have quite a gift for effective and outrageous marketing slogans. I'm still not sure I actually enjoyed Robert Goolrick's A Reliable Wife, but this brooding gothic story has stuck in my mind. When wealthy widower Ralph Truitt advertises in a St. Louis newspaper for "a reliable wife," Catherine Land, who has been living hand-to-mouth on her wits and beauty, jumps at the offer. While I didn't like any of the characters very much, the suspense ratchets up satisfactorily in the isolation of the bitter Wisconsin winter to a surprisingly upbeat ending. Based on Sister MM's rave review and Georgette's and Della's enthusiastic endorsements, Nick Harkaway's Angelmaker is at the top of my Christmas wishlist. I had read the author's short story Edie Investigates (which can be purchased inexpensively wherever you buy ebooks) and enjoyed it very much. It packed a lot of understated British humor into a few pages of MI-5 misadventures. Like his father John le Carré, Harkaway has a somewhat cynical view of the renowned British spy agencies. 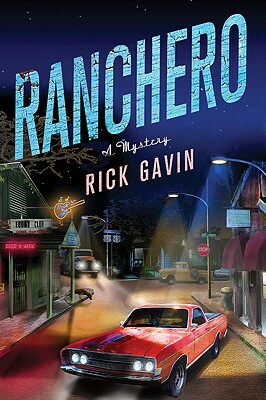 Della calls Rick Gavin's Ranchero "An absolute joyride of a book." The protagonist is a repo man, a timely reminder for those of us who usually go overboard with Christmas gifts. Georgette has also tempted me with Peach, the entity that occupies Dex's cell phone in Ruth Rendell's The St. Zita Society. My name for the entity that lives in my cell phone isn't printable on a family blog. And since I will be moving to Amish country within the next year, I had better read up on what's amiss with them from MC's post. If I don't get these books as gifts, I'll likely treat myself to them. Books from my TBR pile include Craig Russell's Brother Grimm, in which a serial murderer uses his victims to explore the darker side of fairy tales. (This one may be too bloody for me; we'll see.) My Name is Red by Orhan Pamuk is set in 16th-century Istanbul and narrated by a murdered blasphemous corpse, a European-style illustrator (realistic depiction of living things is forbidden in Islam). This New York Times Notable Book is described as "Part fantasy and part philosophical puzzle...Boxes within boxes." To be saved for bleak, stormy days when I can't get out. And Born on a Blue Day is the memoir of Daniel Tammet, a synesthetic savant who also suffers (or is gifted with?) Asberger's. He perceives numbers as colors and shapes, and manipulates them instantaneously in his head. Differently-wired brains fascinate me and this one, written from the inside, should be more interesting for a layman than a psychological study. These should keep me occupied through, say, July? Happy holidays, all! The list of books I want to read is getting very long! Della, like you and Sister Mary, I enjoy Josh Bazell's frenzied books. He has energy and knowledge to burn. South African Deon Meyer has written one stellar book after another. I'm looking forward to what you have to say about TRACKERS. I'm also a James Sallis fan, MC. He's a great storyteller. 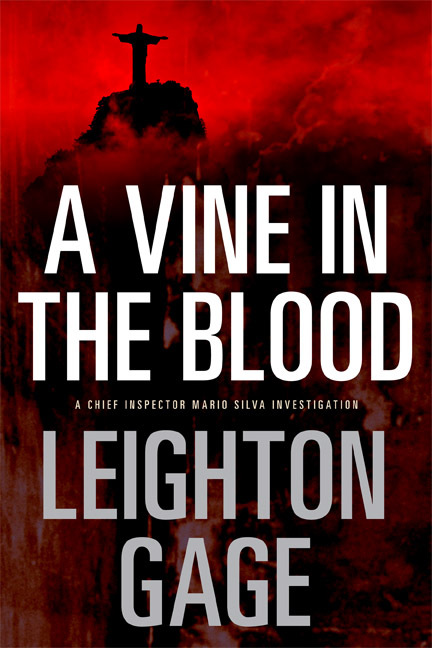 I love Leighton Gage's books, which are set in contemporary Brazil. It doesn't surprise me you enjoyed Hamilton-Paterson's COOKING WITH FERNET BRANCA. 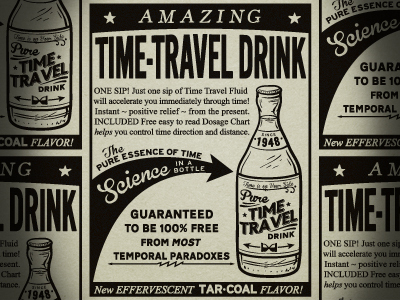 I laugh whenever I think about Gerald Samper and his horrible concoctions. Have you picked up the sequel, AMAZING DISGRACE? Peri, I think you'll like Pamuk's MY NAME IS RED. I hope one of these days you tell us about some of the classic mysteries you're downloading. Dorothy L. Sayers's MURDER MUST ADVERTISE is very fun. During the winter, I always re-read her THE NINE TAILORS.